This project was a truly a collaborative effort thanks to Helen Kettles in the National Estuaries team (thanks Helen!). The team included Helen Kettles, Martin Rutledge, Leana Barriball, Sarah Wilcox, Peter Badalamenti and Laurence Walls (DOC), Pātaka Moore and Caleb Royal (Te Wānanga o Raukawa), and Mike Hickford and myself from the University of Canterbury. Our kaupapa included piloting a draft version of the resource with several community groups across New Zealand, and their feedback added extra value to the finsihed result. Some of the key people and groups involved were Te Kura Kaupapa Māori o Ngā Mokopuna (Te Whanganui a Tara), Te Kura Kaupapa Māori o Te Rito (Ōtaki), Te Kura a Iwi o Whakatupuranga Rua Mano (Ōtaki), Brooke Ashleigh Turner (DOC, Living Waters) and Jason Roxburgh (Living Matters – Biodiversity & Ecology Solutions), Grant and Rosemary Webby (Waiwhetu Stream Care), Henk Stengs (DOC) and the Cobden Aromahana Ecological Restoration Group. We were also fortunate to have specialist expertise and advice for preparing a Te Reo translation and whakapapa design thanks to Ruiha Leonard and Sian Montgomery-Neutze. This was an awesome project and we hope it will assist other community restoration groups interested in using this technique. Even the small can make a big impact! 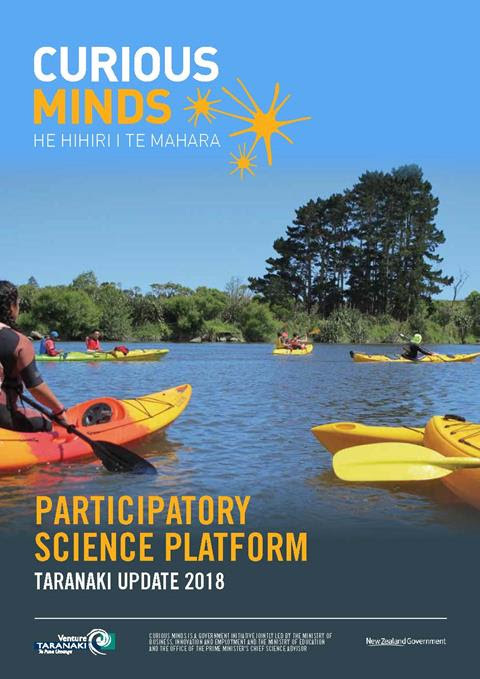 It's been great working on this project with Waitara Alive and the Ōtaraua Hapū along with Waitara High School students to better understand the health of whitebait spawning sites along the Waitara River. The project is comparing present day spawning site health and abundance to historical evidence collected from local kaumatua. 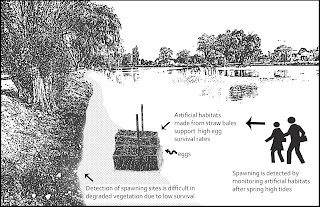 By contrasting past with present, the Inanga Ora project team hope to identify how spawning habitat is changing, and what can be done to better protect it. The project was funded by the 'Curious Minds' He Hihiri I Te Mahara. Participatory Science Platform. 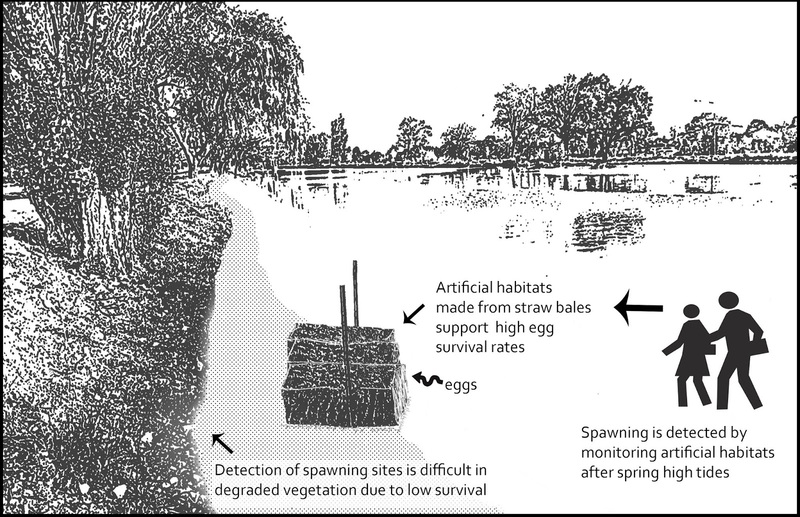 We have a new paper published in the journal Ecological Indicators that sets out the science behind using artificial habitats (such as straw bales) to identify īnanga spawning habitat in degraded waterways. Copyright © 2015 www.resilientshorelines.nz. Watermark theme. Powered by Blogger.